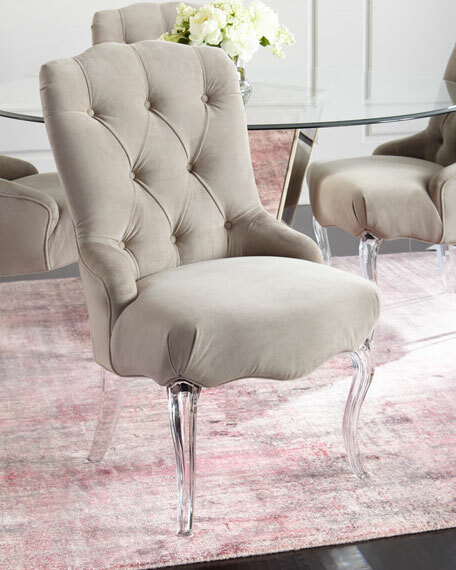 *AVAILABLE IN CARACOLE COUTURE CUSTOM UPHOLSTERY PROGRAM* Claim your Prince Charming with this deeply tufted dining or accent chair. 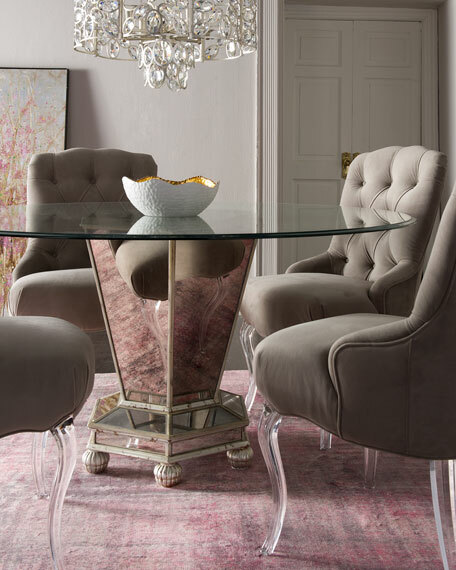 Warm grey velvet shows off a subtle scallop effect across the chair’s top rail, mirrored by its cabriole style, glass-like acrylic legs. The low arm accommodates any sized table apron. Fully upholstered chair with acrylic legs.